Fakir Mohan University came into existence after Odia writer Fakir Mohan Senapati. Initially it was same like other colleges but now they have 15,000 students spread across 60 colleges under the university. In India this is the only university which offers a postgraduate course in Ballistics. The campus is beside National Highway a very calm and peaceful place for students to focus on academics. The institute was very near to the Balasore railway station and bus stand so it was not hectic for students as well as parents to travel. 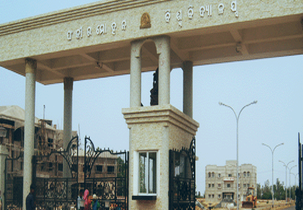 Their mission is to develop the university as a need and value based quality education to the students of Odisha. To create strong manpower to the society who is capable and potential enough to face any challenges and solve them easily. They prepare students to the need of society and to meet the challenges and standards of the organisations or industries. They are certain ethics and standards that students must follow to be professional in the institute and in the corporate life. Their main focus is to build students to be a responsible citizen to the society which can bring changes to all. You have number of courses offered by the institute so students must not lack without the proper education or to fulfil their dreams by opting the program without passion or interest. The university provides the students with career based education with new techniques in learning pedagogy. World class infrastructure with ambient atmosphere is provided to the students in order to achieve academic and industrial excellence. 100% placement record in previous years as the university has links with reputed organizations. Talented and experienced faculties who have much industrial knowledge to train the students. 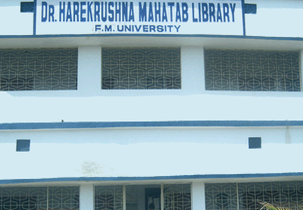 High class modern facilities in order to fulfill the basic needs of the students and faculties. The university has about 3 boys and 3 girls’ hostel within the campus with well furnished rooms with attached washrooms. The hostel has high speed Wi-Fi facility, gym, library, CCTV surveillance and security guards at night to ensure the safety of the students. The university has links with banking sectors and top MNC’S both national and international level to provide good job opportunities. The highest salary offered by companies like aspiring minds is INR 1.8 LPA, Aditi Technologies is INR 1.8 LPA and HDFC Bank is INR 2.04 LPA. The MBA course with various specializations trains the students in order to become managers’ in the future industrial sectors. The course is full time for duration of 2 years having a total of four semesters with well-designed curriculum. The candidates have to score good rank in the OJEE exam as per the category cutoff to get admissions in the university for the MBA courses. The application form is available online in the official website and the fee is INR 300 which can be paid through net banking or debit/credit card. Admission quairy .and fees structure .and ? Sir,After counsiling fee... Have there any admission fee for MBA ??? I am 2 years B com & LL M pass ,so i am eligible for M Com , distance & west Bengal study cent? I scored 54% in my +2 examination in CHSE, can I get admitted in fm university in BBA?? what is the fee structure and exam time? Are you Interested inFakir Mohan University"? Please provide the following details.